Eye Health is something we often neglect, but can become problematic as we age, with increased risk of developing failing vision, cataracts and Age Related Macular Degeneration (AMD) into old age. A poor diet can put your sight at risk, yet awareness of the link between diet and good eye health is low and a recent survey found sixty per cent of people living in the UK had no idea that what they eat can affect the health of their eyes. Vitamins, minerals and carotenoids, found in many fruits, vegetables and other wholesome foods, can help protect your sight and keep your eyes healthy. 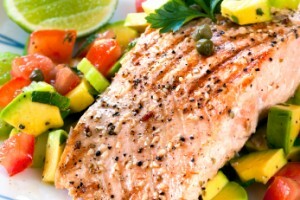 Oily fish such as salmon, sardines, mackerel, herring and tuna are excellent sources of DHA, and Omega-3 fatty acids. These provide structural support to cell membranes, help reduce inflammation in cells and arteries, and may be beneficial for dry eyes, and the maintenance of general eye health. 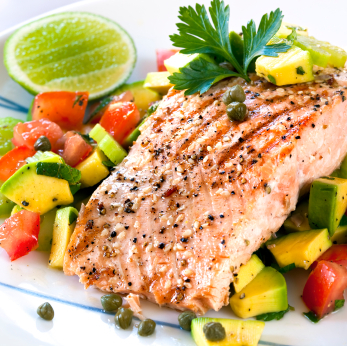 Research has shown that eating just one portion of fish a week may reduce your risk of developing age-related macular degeneration (AMD); the UK’s leading cause of blindness, up to 40%. Two to three portions would be ideal. 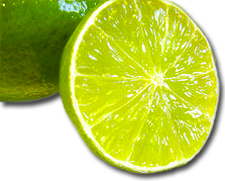 Whole grains and avocados are rich in zinc and Vitamin B. 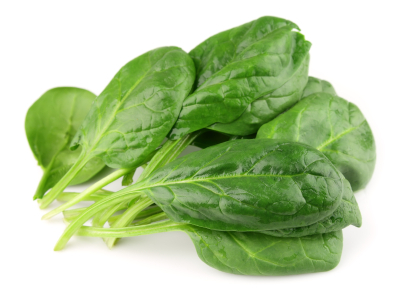 Deficiency in B Vitamins can increase your risk of cataracts and retinopathy. Blueberries and grapes contain anthocyanins, which may help improve night vision. 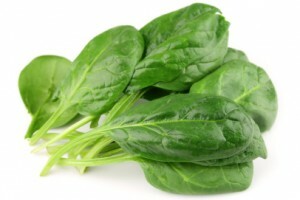 Green leafy vegetables; spinach or kale, for example, are rich in carotenoids, especially lutein and zeaxanthin. Lutein, meso-zeaxanthin and zeaxanthin form a yellow pigment that helps protect the macula, a tiny yellow spot in your retina, from excessive sun damage by acting as a natural sunblock. Click here for my tasty kale wrap recipe. Garlic, onions, shallots and capers are rich in sulphur, which is necessary for the production of glutathione; an important antioxidant required to help maintain healthy sight. 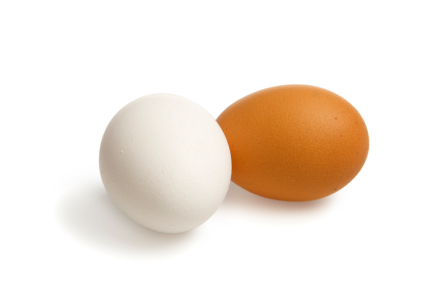 Eggs are rich in cysteine, sulphur, lecithin, amino acids and lutein. Sulphur may also help protect the lens of the eye from cataracts. Papaya is a good source of beta carotene which can help to prevent free radical damage inside the eye. Vitamin E rich foods (sunflower & pumpkin seeds; almonds, sweet potato, eggs, avocado, beans, peanuts, wheat germ) include natural anti- inflammatory agents. Vitamin E is important for the maintenance of good eye health. Unfortunately today’s busy lifestyles mean many people miss out on essential nutrients provided by a healthy diet so taking supplements may beneficial. 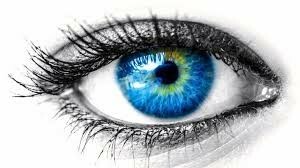 If you are worried about your eye health, or have a history of eye disease in the family, please contact me for more support around your diet, and advice on nutritional supplements you can explore.